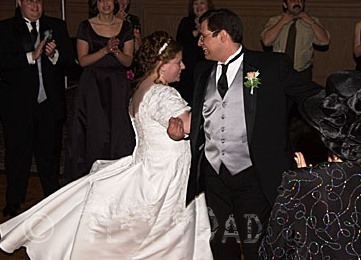 Fourteen years ago today, I walked down the aisle and became the luckiest man in the world because B & I were married. I thought our lives couldn’t get any better, but then along came NHL and then JSL. Over the years, we’ve had high times and lows. Excitement both of the good and bad kind. Scares and joyful moments. Through it all, B is the rock I’ve clung to. Every time I think I can’t take one more thing that life has thrown my way, B is there to provide support. I wouldn’t be the man I am today without her. I couldn’t do half of the stuff I do without knowing that she’s there for me. Whenever I think that I can’t love B any more, I find that I was wrong – I can and do love her more each and every day. Happy Anniversary! Here’s to many more wonderful years to come.